The advent of online shopping has left consumers with essentially no reason to leave their homes or interact with their fellow shoppers. From fresh groceries, to furniture, to clothes and electronics -- anything can be ordered online and delivered conveniently to consumers’ doorsteps. Despite the obvious convenience factor and how widespread online shopping has become, University of Arizona researcher Sabrina Helm explored consumers’ attitudes about online shopping versus going to a brick-and-mortar retailer, and the findings may be surprising. Helm found that most consumers -- even those devoted to online shopping -- identified several ways that the extinction of physical stores can be detrimental to our society, particularly where social interactions are concerned. There’s no question that retail isn’t what it used to be. However, despite the ease of use and access that comes with online shopping, Helm’s goal was to discover consumers’ attitudes about the changing retail market. “We set out to figure out how consumers perceive and make sense of this change, and what they anticipate for the future -- for themselves and for society -- if this retail change is persistent,” Helm said. The researchers started by assessing consumers’ attitudes towards shopping in stores versus online. They scoured the comments section on news articles that detailed either the change to the retail scene or physical store closures. They even conducted an online survey to better gauge consumers’ shopping habits and perceptions. The results were as to be expected. Those that preferred going to stores liked the social experience of being in a brick-and-mortar locations, in addition to being able to touch products before committing to buying them. Online shoppers were drawn to the wide variety of options available to them, and the ease of use -- particularly for customers with disabilities or mobility issues. Regardless of preference, though, consumers aren’t trying to see the end of physical shopping spaces. “Brick-and-mortar stores play an important role in consumers’ lives and society, and in most consumers’ minds, they should survive,” Helm said. Despite the push to keep physical stores open, Helm also notes in her research that consumers have all the power moving forward. 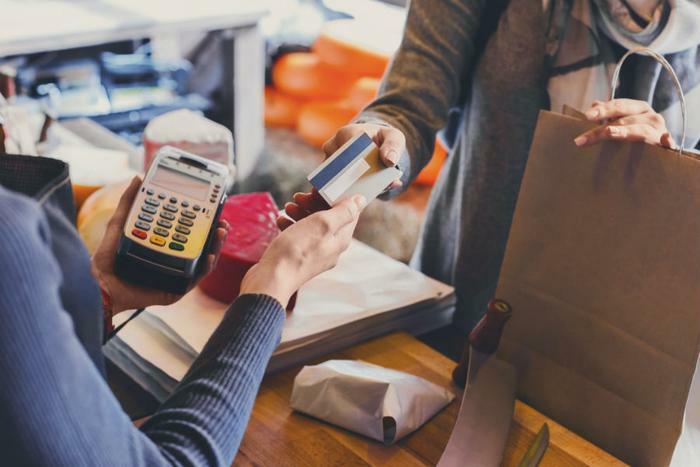 As easy and convenient as shopping online is, brick-and-mortar shops need to consider consumers’ needs if they want to keep their doors open. Perhaps no industry has felt the changing retail market as much as supermarkets in recent years. The evolution of grocery shopping was on the horizon as long as four years ago, with many consumers anticipating a shift in how they buy food. Recently, however, the game has changed completely -- mainly due to Amazon’s tireless efforts. Last June, the internet giant acquiredWhole Foods, and the rest was history. By September, customers were ranking Amazon as the number one spot for online grocery shopping. Slowly but surely, Amazon’s dominance in the grocery world continued to spread, and Whole Foods began offering Amazon Prime members great discounts. Prime members receive Whole Foods’ affinity program benefits, landing them weekly sales and discounts on some of the most popular items. Prime members also receive exclusive delivery options, and the opportunity to pick up orders curbside without ever having to go into the store. Just in time for Thanksgiving, Whole Foods is offering Amazon prime members holiday specials. In addition to deals on turkeys, Prime members can expect extended pickup and delivery times on Thanksgiving Day. But while the supermarket game has changed rapidly, and though many consumers take advantage of the technology, Helm’s research shows that complete extinction is not what consumers are looking for.